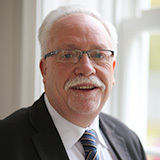 Dr Gerry O’Reilly is Senior Lecturer in Geography and International Affairs Co-ordinator for the College. He has interests in political, economic and cultural geography, geopolitics, sustainable development and education. He lectures on modules including Humanitarian Action and Geopolitics, and also Regional Geography: Mediterranean, Middle East and North Africa (MENA); and two field-based courses for international and Irish students – Reading the Irish Landscape. He obtained his PhD from Durham University, and MA from the National University of Ireland (University College Cork), with a HDipEd and BA from NUI Maynooth. His post doctoral research was undertaken in political geography and sustainable development at University College Dublin. Before joining the Geography Department at St Patrick’s in 1997, Dr O’Reilly held lectureship and research posts at UCD, and the Universities of Durham, Tunis, and Algeria-Annaba, and Visiting Professorship at the Ohio Sate University, Columbus. In relation to his applied research interests in Humanitarian Action and Geopolitics and as Faculty member of the ECHO (EU Humanitarian Office) sponsored NOHA (Network on Humanitarian Action), he was Erasmus Mundus Visiting Fellow at institutions in the Western Cape University (2009), Toronto York University (2008) and Columbia University NY (2007). Dr O’Reilly is Vice President of EUROGEO – EAG (European Association of Geographers); and International Geographical Union, National Representative for the Commission on Population and Vulnerability. He is the Irish / SPD Representative for L’Association Comenius (European Association of Teacher Training Institutions) and NETT (Network for the Education and Training of Teachers) which operate within the framework of the EU LLP‐ERASMUS programme. He is SPD Representative on the National Steering Committee of the CGDE: Centre for Global Development through Education (MI-UL); and CHRCE (Centre for Human Rights and Citizenship Education) member of the SPD Steering Committee.